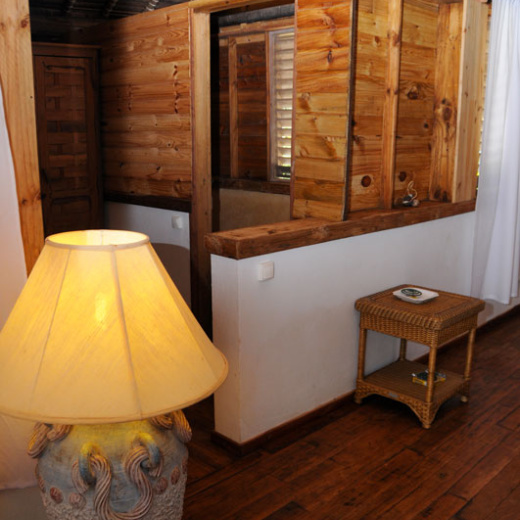 The bungalows are located at the bottom of a small bay, near a fishing village south of Nosy Be. Nosy Be Island which is situated on the North West coast of Madagascar. 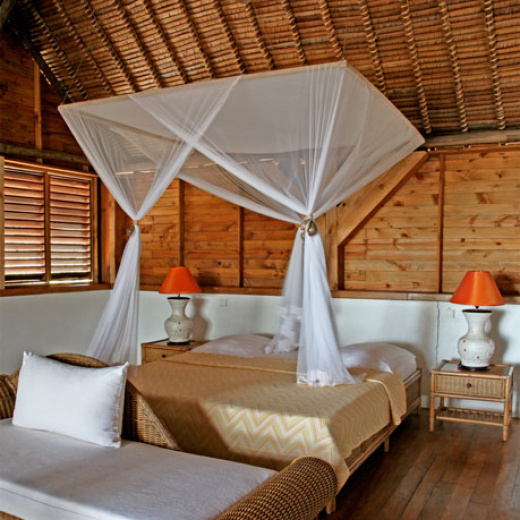 The Lokobe Domaine gives you under the coconut trees with a view of the Mozambique Channel. All 10 suites provide patios, sitting areas, and WiFi. Minibars, Frette Italian sheets, and free newspapers are among the other amenities available to guests. A private beach, a restaurant, and an outdoor pool are available at this hotel. Buffet breakfast is free. Comfortably seated in a tropical setting the “Domaine” bar opened to the ocean proposes cocktails, aperitif, its natural fruit juices and refreshing drinks. And for the ones that fond of good cigars, our collection of Cubans is opened to you. 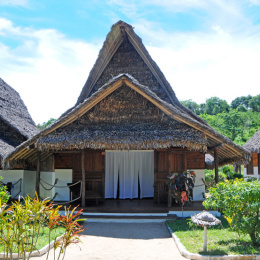 There are multiple activities offered at the "Domaine" : Walks in the beautiful lokobe forest and the ylang ylang distillery, scuba diving, deep sea fishing, pirogue (traditional boat) ride, water skiing and excursions to surrounding the area.